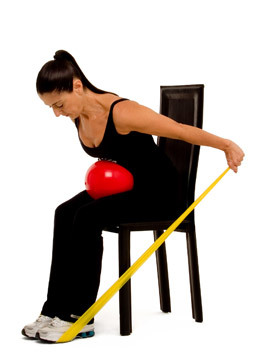 Start seated in a chair with your abdomen leaning over and supported by a ball on your lap (this takes pressure off of the spine). Hold the bands with both hands to your side. Proceed to move your arms backwards and up. Resume the starting position. Repeat 5-10 times.